OHIO STATE UNIVERSITY LIBRARY, FRANKLIN COUNTY, OH. OHIO HISTORICAL SOCIETY LIBRARY, COLUMBUS, OH. NEWBERRY INDEPENDENT RESEARCH LIBRARY, CHICAGO, ILL.
NATIONAL GENEALOGICAL SOCIETY LIBRARY, ST. LOUIS, MO. OBERLIN COLLEGE LIBRARY, LORAIN COUNTY, OH. DAUGHTERS OF THE AMERICAN REVOLUTION LIB., WASH. D.C.
OHIO UNIVERSITY LIBRARY, ATHENS COUNTY, OH. UNIVERSITY OF DAYTON LIBRARY, DAYTON, OH. OTTERBEIN UNIVERSITY LIBRARY, WESTERVILLE, OH. WRIGHT STATE UNIVERSITY LIBRARY, DAYTON, OH. MARIETTA COLLEGE LIBRARY, WASHINGTON COUNTY, OH. UNIVERSITY OF WISCONSIN LIBRARY, MADISON, WISC. WITTENBERG UNIVERSITY LIBRARY, CLARK COUNTY, OH. HUNTINGTON UNIVERSITY LIBRARY, HUNTINGTON, IN. OHIOANA LIBRARY, COLUMBUS, FRANKLIN COUNTY, OH. NEW ENGLAND HISTORIC GENEALOGICAL SOC., BOSTON, MASS. EARLHAM COLLEGE LIBRARY, RICHMOND, IN. SINCLAIR COLLEGE LIBRARY, DAYTON, OH. 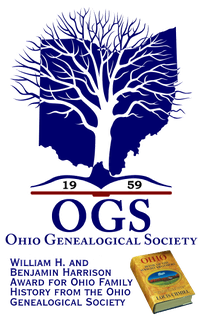 OHIO GENEALOGICAL SOCIETY LIBRARY, RICHLAND CO., OH. ENGINEERS CLUB OF DAYTON LIBRARY, DAYTON, OH. SMITH REGIONAL HISTORY LIBRARY, OXFORD, OH. UNITED THEOLOGICAL SEMINARY LIBRARY, DAYTON, OH. BRETHREN HERITAGE CENTER LIBRARY, BROOKVILLE, OH. ENON HISTORICAL SOCIETY LIBRARY, CLARK COUNTY, OH. SHELBY COUNTY HISTORICAL SOCIETY LIBRARY, SIDNEY, OH. CLEVELAND PUBLIC LIBRARY, CUYAHOGA COUNTY, OH. COLUMBUS METROPOLITAN LIBRARY, FRANKLIN COUNTY, OH. CINCINNATI & HAMILTON COUNTY PUBLIC LIBRARY, OH. TOLEDO PUBLIC LIBRARY, LUCAS COUNTY, OH. AKRON PUBLIC LIBRARY, SUMMIT COUNTY, OH. YOUNGSTOWN PUBLIC LIBRARY, MAHONING COUNTY, OH. DAYTON METRO LIBRARY, MONTGOMERY COUNTY, OH. SPRINGFIELD PUBLIC LIBRARY, CLARK COUNTY, OH. NORTH CANTON PUBLIC LIBRARY, STARK COUNTY, OH. LEBANON PUBLIC LIBRARY, WARREN COUNTY, OH. CAMBRIDGE CITY PUBLIC LIBRARY, CAMBRIDGE CITY, IND. WESTERVILLE PUBLIC LIBRARY, FRANKLIN COUNTY, OH. FAYETTE COUNTY PUBLIC LIBRARY, CONNERSVILLE, IND. CAMBRIDGE PUBLIC LIBRARY, GUERNSEY COUNTY, OH. MIDDLETOWN MIDPOINTE LIBRARY, BUTLER COUNTY, OH. MEDINA DISTRICT LIBRARY, MEDINA COUNTY, OH. IRONTON BRIGGS PUBLIC LIBRARY, LAWRENCE COUNTY, OH. XENIA DISTRICT PUBLIC LIBRARY, GREENE COUNTY, OH. WEST CHESTER PUBLIC LIBRARY, BUTLER COUNTY, OH. CENTERVILLE/CENTER TWP. PUB. LIBRARY, CENTERVILLE, IND. FAIRBORN PUBLIC LIBRARY, GREENE COUNTY, OH. PROCTORVILLE PUBLIC LIBRARY, LAWRENCE COUNTY, OH. BEAVERCREEK PUBLIC LIBRARY, GREENE COUNTY, OH. OAKWOOD PUBLIC LIBRARY, PAULDING COUNTY, OH. FRANKLIN COUNTY PUBLIC LIBRARY, BROOKVILLE, IND. GALLIPOLIS PUBLIC LIBRARY, GALLIA COUNTY, OH. SIDNEY AMOS MEMORIAL LIBRARY, SHELBY COUNTY, OH. EATON DISTRICT PUBLIC LIBRARY, PREBLE COUNTY, OH. UNION COUNTY PUBLIC LIBRARY, LIBERTY, IND. NEWARK PUBLIC LIBRARY, LICKING COUNTY, OH. WREN PUBLIC LIBRARY, VAN WERT COUNTY, OH. GREENVILLE PUBLIC LIBRARY, DARKE COUNTY, OH. WAYNESVILLE MARY L. COOK LIBRARY, WARREN COUNTY, OH. WASHINGTON C H, CARNEGIE LIBRARY, FAYETTE COUNTY, OH. OHIO CITY PUBLIC LIBRARY, VAN WERT COUNTY, OH. PIQUA PUBLIC LIBRARY, MIAMI COUNTY, OH. JOHNSTOWN BABCOCK LIBRARY, LICKING COUNTY, OH. VAN WERT BRUMBACH LIBRARY, VAN WERT COUNTY, OH. CELINA PUBLIC LIBRARY, MERCER COUNTY, OH. NEW CASTLE-HENRY CO. PUBLIC LIBRARY, NEW CASTLE, IND. 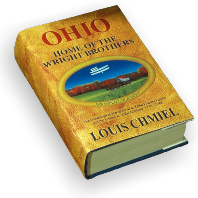 WILLSHIRE PUBLIC LIBRARY, VAN WERT COUNTY, OH. PAULDING CARNEGIE LIBRARY, PAULDING COUNTY, OH. TROY LOCAL HISTORY LIBRARY, MIAMI COUNTY, OH. SYMMES VALLEY PUBLIC LIBRARY, LAWRENCE COUNTY, OH. PAYNE PUBLIC LIBRARY, PAULDING COUNTY, OH. MIDDLE POINT PUBLIC LIBRARY, VAN WERT COUNTY, OH. GEORGETOWN LIBRARY, BROWN COUNTY, OH. MARYSVILLE PUBLIC LIBRARY, UNION COUNTY, OH. CIRCLEVILLE DISTRICT LIBRARY, PICKAWAY COUNTY, OH. ANTWERP PUBLIC LIBRARY, PAULDING COUNTY, OH. TUSCARAWAS COUNTY LIBRARY, NEW PHILADELPHIA, OH. IDA RUPP PUBLIC LIBRARY, PORT CLINTON, OTTAWA CO., OH. WOOD COUNTY PUBLIC LIBRARY, BOWLING GREEN, OH. BRISTOL PUBLIC LIBRARY, BRISTOLVILLE, TRUMBULL CO., OH. LAUREL PUBLIC LIBRARY, LAUREL, IND. FAYETTEVILLE PUBLIC LIBRARY, BROWN COUNTY, OH. SARDINIA PUBLIC LIBRARY, BROWN COUNTY, OH. FRIENDS HOME MUSEUM LIBRARY, WAYNESVILLE, OH. ST. CLAIRSVILLE PUBLIC LIBRARY, BELMONT COUNTY, OH. FRANKLIN/SPRINGBORO LIBRARY, WARREN COUNTY, OH. BELLEFONTAINE, KNOWLTON LIBRARY, LOGAN COUNTY, OH. CONVOY PUBLIC LIBRARY, VAN WERT, COUNTY, OH. KENTON M.L. JOHNSON LIBRARY, HARDIN COUNTY, OH.